According to the saints and sages, the whole universe is the manifestation of the Lord. “Tat srstva, tad evanupravisat.” Having created the creation, the Creator entered into it.” All that we see is a reflection of the infinite fullness of the Divine which, breathing out, creates from within Itself, the vast array of diverse forms in the universe and breathing in, draws everything back into itself at the time of the cosmic dissolution. The universe is eternally humming within itself – spinning and unraveling the shimmering web of life – singing in silence the song of creation, preservation and dissolution – the song of the Divine. This song may be heard anywhere and everywhere. Only the mind must become more silent. There is a saying: “When the inner voices of the mind become silent, we may hear the whisper of the gods.” However, we are habituated to directing our senses outward and have forgotten how to experience the silent levels of the mind, therefore we rarely, if ever, have the privilege of hearing the Divine song. Yet there are certain places where no matter how active the mind, how outwardly-directed the senses, one will inevitably feel a deepening stillness, an inner awareness of something inexpressibly sublime, a sense of wonder, an overflowing upsurge of joy, a nectarlike sweetness – a silence and bliss that will serve to draw the senses and mind inward toward their source. These are the spiritual power spots. In these particular spots the earth is charged with divine magnetism. This is why people flock to such holy places from all over the world. In these places, one’s consciousness is automatically charged with divine vibrations. “Yat pinde tat brahmande, yat brahmande tad pinde” As in the individual body, so in the cosmic body. Even though the whole universe is the body of the Lord, the energy is not equal in every part of the universe; similarly in the human body, there are particular power spots along the spinal column which are virtual storehouses of spiritual energy. The Char Dham, Badrinath, Kedarnath, Gangotri and Yamunotri, are such power spots eternally lively with divine energy. Every pious Hindu yearns to make this pilgrimage at least once in their lifetime. The divine realm of life is described as satchitananda – eternal bliss consciousness. Who would not wish to have the darshan of that divine world, to have the veil of darkness lifted, even if momentarily, no matter how arduous and steep the journey to the summit and how many trials and hardships one may have to endure to reach it? Each of the four shrines is situated in the heights of the Himalayas where the rarified air is saturated with the meditative silence and heartfelt prayers of countless saints, sages and yogis who have made it their dwelling place. The vision of the towering mountain peaks reminds one of the vast immovable wholeness of life that endures in the midst of its ever-changing expressions. Each of the shrines is situated at heights ranging from 3050 to 3660 meters above sea level. 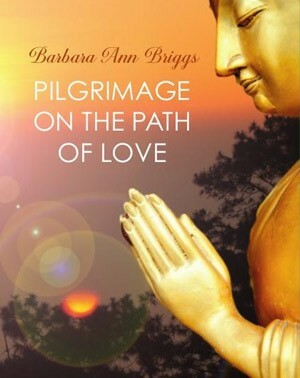 The pilgrim’s ascent upwards into the steep and winding paths of its topmost peaks is an outer symbol of the inner spiritual journey everyone must one day make – to the innermost temple hidden deep within the heart. “Anoraniyan mahatomahiyan – smaller than the smallest, larger than the largest is He.” The Char Dham yatra demands courage, patience, faith and perseverance – the same qualities so necessary in order to tread the spiritual path to self-realization. Even the outward journey can inspire the inward journey, leading to a strengthening of one’s determination and a redefining of one’s highest priorities in life. The most dramatic part of the ascent to Badrinath, one of the holiest shrines in India, begins from Joshimath, a town nestled in a valley in the midst of towering mountains. Crossing the bridge spanning the river, the road curves sharply upwards leaving far behind the familiar scenes of the bustling marketplace, colorfully painted houses and lanes crowded with pedestrians. As the vehicle zooms forward, zigzagging along the edge of a precipice, one is suddenly face to face with soaring grey boulders and dense forests clinging precariously to the edge of jagged cliffs. One can only hold one’s breath and mutter a silent prayer as the vehicle climbs steadily upward from 1890 to 3110 meters above sea level. When one finally alights in Badrinath, a scintillating freshness pervades the air. It is as if the palette of life is awash with a new luminosity, a transparency, a brilliance of color that fills one with wonder. To reach the temple, one must cross the bridge over the fast-flowing stream of the Alakananda. From one side of the steep rocky incline, one can see steam rising from the bright blue water. Before entering the temple, it is customary to bathe in Tapt Kund – which is filled with boiling hot water. When one first sees the hot vapor rises from the Kund, it appears to be impossible to step in. But it is said that if one enters with the name of Lord Shri Badrinarayanji on one’s lips, one derives divine pleasure from the bath and all the fatigue of the journey is washed away. I can vouch for this! There is also the belief that anyone, no matter how wicked he is, becomes pure and pious after bathing in this Kund. The outside of the temple is painted in colorful tones of blue and red and white. As one enters the outer hall, one’s vision is immediately draw to the inner sanctum where the Shaligram shila, the statue of Shri Badrivishalji, sits in padma asana, adorned with a crown of diamonds, a tilak of chandan and tulsi garlands around His neck. In Kaliyuga, Lord Narayana is showed in Shaligram shila whereas in Satyuga, the Lord lived in Badrikasram in visible form. In the Puranas, it says that the Lord told His devotees that if one sees the Shaligram shila in Kali Yuga, one gets the same reward as seeing the Lord in visible form. The divine idol of the Lord was taken out of Narad Kund by Shri Shankaracharya and established in the temple by him more than 1200 years ago. Two kilometers away from Badrinath is Manas village where the caves of Veda Vyasa and Shri Ganesh are located. It is said that Vyasa dictated the Mahabharata to Ganesh from his cave and Ganesh wrote it down in His cave. Both caves are imbued with a deep stillness and peace. The shrine of Shri Kedarnathji, one of the 12 jyotir lingas, is situated in a remote region 3581 meters above sea level. To reach the temple before dusk, one must begin the arduous 15 kilometre trek from Gaurikund before dawn. Plying one’s way through narrow dirt roads, one joins an amorphous group of pilgrims clustered together at the foot of the mountain. As the sherpas saddle their ponies, and look for riders, others sip steaming hot tea before starting the long trek to the summit. The steep path curves straight up. Along the way, the sight of the wild overgrown mountain foliage, the waterfalls cascading from great heights, the narrow ravines and barren ridges jutting out in sharp angles from rock strewn cliffs evoke the image of Lord Shiva, the quintessential ascetic, totally oblivious of the outer world, wrapped in the deep silence of meditation hidden in the midst of the snowcapped peaks of the Himalayas. Wherever one looks, there is the ambiance of Shiva, the outer echoing the inner, the outer echoing the voiceless silence in which the music of eternity is ever-humming. One moves forward and upward as if impelled by an inexpressibly powerful urge to reach His divine abode. The path takes one beyond the small individual ego for all journey together – as one heart beating for a common purpose. At the summit the temple is temporarily hidden behind the many ashrams that have been erected on the mountain. Standing in front of the gate, one sees many sadhus with long matted locks sitting, twirling rudraksha malas, barely clothed in spite of the deepening chill of twilight in the air. A majestic statue of Nandi, Shiva’s divine bull guards the front entrance to the temple. In the main hall, the stone walls are exquisitely carved with images. But nothing can prepare one for the intense fervor of devotion in the inner sanctum around the shiva linga. Stepping across the threshold into the small dimly-lit room, one enters a space vibrating with divine energy. The Rudra Abhishek is in progress: The devotees cram forward, hands outstretched, yearning to anoint the linga with their humble offerings of garlands, milk, honey, curd, ghee and rudraksha malas as the priest intones the mantras which resound in the ancient stone enclave like the resounding chime of huge bronze bells. The linga has an unusual shape in that it is more flat and wide than most lingas. It represents the hump of a bull whose form Lord Shiva assumed to evade the Pandavas. The five Pandavas of the Mahabharata epic sought Shiva’s forgiveness for the sin of killing their relatives in the battle of Kurukshetra. Lord Shiva, unwilling to give them His Darshan, fled from them and took the form of a bull. But Bhim, the strongest of the five, found Him. As Bhim tried to get hold of Him, Shiva sank into the earth and only His back portion ( the hump) was taken by Bhim in his hands. Shiva, being pleased with their determination absolved them of their sin and gave them darshan and requested them to worship His hump. From that date, the hump of Shiva is worshiped in the temple of Kedarnath. Not far from the temple is the samadhi of Shri Shankaracharya. Eight kilometers away is Vasukh Tal, a crystal, clear lake which is so beautiful that it immediately makes one forget the arduous climb one has to endure to reach it. Although each of the four dhams is a power spot, the energy in each one is qualitatively different. Whereas Badrinath and Kedarnath embody the powerful male energy of Lord Narayana and Lord Shiva, Gangotri and Yamunotri embody the gentle female energy of the Mother Goddess. As one approaches the shrine of Gangotri, one passes through villages where apple orchards bloom in profusion, people are open and friendly and the air tingles and sparkles with light. The heart expands, reveling in the sight of the snowcapped peaks in the distance. Along the path, shepherds lead herds of goats through verdant mountain passes. As one nears the small white symmetrical structure of the Bhagirathi Temple, one is greeted by the inimitable song of the Ganga. Here the Goddess appears to be dancing in a divine rapture, whirling round and round as Her frothing waves rise and fall in carefree abandon before cascading in rushing streams down the mountainside to the plains far below. The gentle yet powerful song of Mother Ganga strums the lyre of the heart with joy. One stands in awe at the sight of her crystal, clear billowing waves, rising in rhythmic strides; one is enthralled by the blissful rendering of Her Divine Dance – a symbol of the overflowing fullness of life. This all-embracing quality of fullness in Gangotri is even more pronounced at Surya Kund, a majestic waterfall whose symphonic roar leaves one breathless with wonder. In Gangotri, the Ganga bears the name of Bhagirathi, a name derived from the King Bhagiratha who succeeded in bringing the Ganga down from heaven after years of intense tapas at Gangotri. King Bhagiratha sought to bring the Ganga to earth to free the souls of 60,000 sons of his ancestors who, due to a curse, could only gain eternal rest when their ashes were washed by the Ganga. Many kings tried, but to no avail. Finally, King Bhagiratha’s meditation bore fruit,and the Ganga began Her tumultuous descent. But, as She descended She got suspended in the coils of Lord Shiva’s hair. Then the King propitiated Lord Shiva and Shiva, being pleased, released the Ganga in three streams, one of which came to earth in the form of Bhagirathi. The source of the Ganga is in Gaumukh, 18 kilometers away in the Gangotri Peaks. The quality of the Mother Goddess, whose heart is ever-open and giving, a symbol of purity, harmony and grace, is further elaborated in the graceful unfoldment of the landscape from Gangotri to Gaumukh. From the flowering trees to the music of the river to the muted green of the fir trees to the translucent blue of the sky, everything seems to be calling to the soul to awaken to the divine beauty of God’s creation. Even the glacial waters at the source cannot deter many pilgrims from taking the holy dip, so charged is the atmosphere with purity and bliss at this blessed spot. Yamunotri, at a height of 3235 meters is the spot where the Goddess Yamunotri is worshiped. After a long 13 kilometre trek, one is rewarded by the sight of the temple perched high on the mountain. Near the temple are hot springs where one can bathe; Surya Kund is the most important kund. Before entering the temple, it is customary to worship the Divya shila near Surya Kund. Pilgrims dip a pinch of rice, tied loosely in a cloth into the hot springs where the water gushes out of the mountain at boiling point. A few minutes later, it is completely cooked and can be taken home as prasad. The source of Yamunaji lies one kilometer ahead at an altitude of 4421 meters. The approach is extremely difficult so pilgrims offer puja at the temple only. Each of the four squares of the Lord has a profound ambiance of divinity. However, the experience of each pilgrim will not be the same. The experiences will depend on the receptivity and the state of awareness of the individual. If one has a bad cold or cough, it may limit one’s ability to enjoy the yatra. Experience is different in different states of consciousness. The more sensitive, awake and open the heart is, the more one will be able to feel the spiritual energy in these power spots. Yet, everyone’s inner vision is destined to open to the eternal truth that the whole world is the manifestation of the Lord. The outer pilgrimage eventually leads one to the inner pilgrimage, to the holiest of the holy: the innermost sanctuary of the human heart. When the heart is purified, one can see God everywhere, in everyone and everything. Then one need not go anywhere. The Shastras say: “Yatra yatra mano yati, tatra tatra samadhyayah.” Wherever the mind may turn, he sees the One only everywhere and gets immersed in Him. May everyone embark on the ultimate pilgrimage leading to self-realisation.